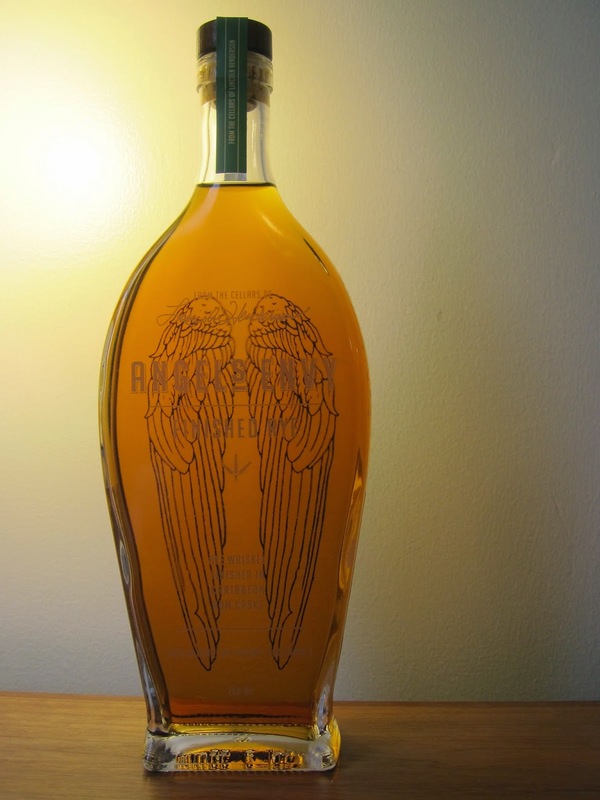 Angel's Envy Finished Rye (50.0%): After watching Lincoln Henderson turning the bourbon world upside down with his wildly successful port finished bourbon a few years ago you didn't have to be a fortune teller to guess that he was already experimenting with different whiskeys and different casks. And like expected Angel's Envy Rye hit the market a little more than a year ago almost around the same time when Lincoln sadly passed away. The 95% rye and %5 malted barley mash whiskey is sourced from MGP, Indiana and aged in new American oak barrels for six years. It is transferred then for up to eighteen months in casks which started their life as small batch French Cognac barrels and then used to age Franco Caribbean Plantation XO Rum. The label of the bottle I filled my sample from carries the label of batch No: 3F and bottle No: 2268. Color: Medium amber, orange blossom honey. Nose: Maple syrup, ruby red grapefruit and roasted hazelnuts. Allspice, cloves and cinnamon. Dark muscovado sugar, burnt caramel and sugar molasses. Adding a few drops of water brings up some nice sour notes: Pomegranate molasses, hard apple cider and sour cherry - rhubarb pie. Palate: Sweet rum all over the palate: Soft baked ginger molasses cookies, warm apple cider spiced with cinnamon, cloves and blackpepper corns. Root beer float and ginger-coconut ice cream. A few drops of water ease it down a little bit. Much calmer and enjoyable now. Baked pineapples and roasted coconut flakes. Finish: Long with sweet baklava syrup and cinnamon dusting. Overall: This whiskey is a big spice bomb and one of the sweetest whiskeys I ever tasted without a doubt. It tastes more like a rye whiskey with generous amount of rum in it rather than a rum cask finish. Way too sweet for my palate... It almost has a feeling like somebody didn't get the memo to take the whiskey out of these casks in time and left them there for another six months just by pure mistake. I know that I have a pretty low threshold for whiskeys on the sweeter side but this is seriously sweet; rum sweet. Wouldn't argue if it was served with an intensely dark chocolate cake though. That would make a good pairing... Next time I will try it with a couple of ice cubes. That might be the way to go.